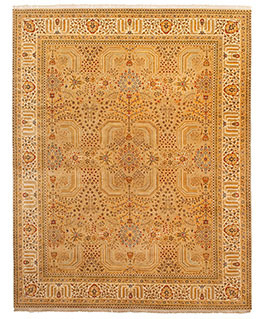 Each Mughal emperor in India had a direct impact on the construction and designs of the carpets woven during his time period. 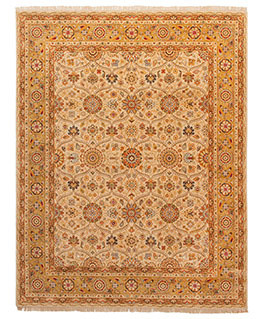 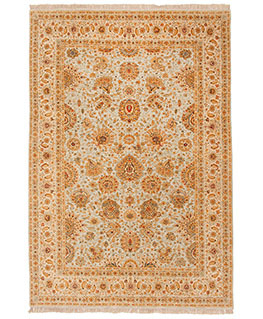 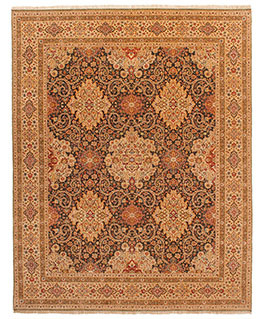 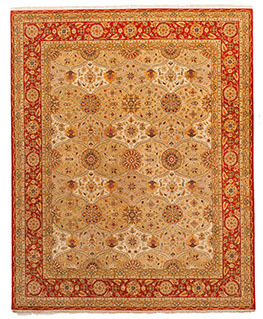 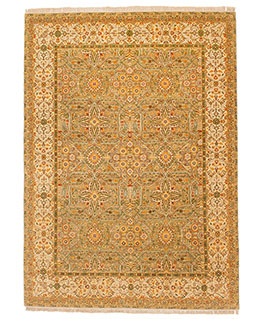 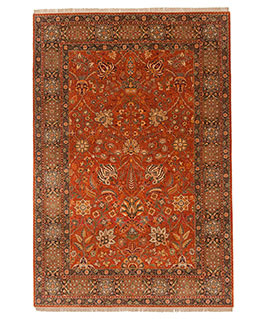 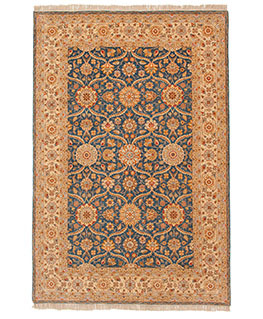 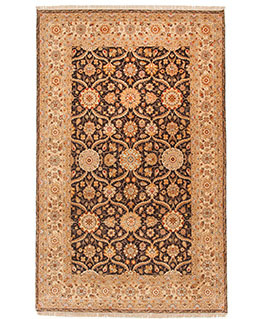 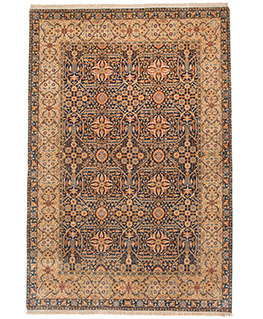 As Persian carpets were originally imported, Persian taste is extremely evident in India carpets. 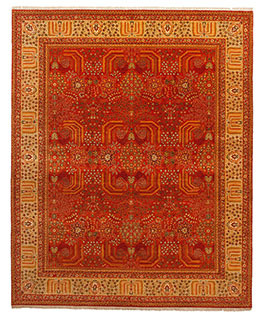 In our Mughal collection shown here we used the designs and themes created during the reign of Jahangir 1605-27. 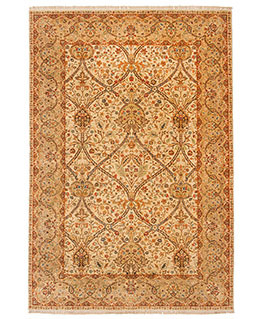 The carpets woven during Jahangir’s reign reflect his love for the plants and gardens of the natural world. 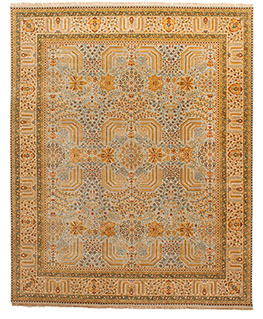 Our Mughal collection is a hand-knotted collection made in India with 100% wool with a touch of silk, which acts as a highlight. 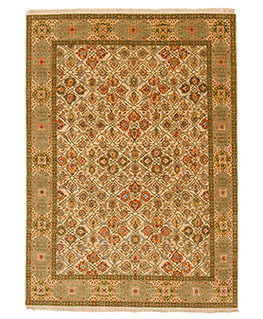 Colors for this collection resemble the colors used in ancient Mughal carpets, as well as the beautiful jewels found in the regions.